Black Metal-project Holdaar ("Thunderer") is formed in April 2004 on the ruins of Fear Of Sanity band by Skilar Velesson and until 2007 exists as a one-man band. During 2004 - 2006 the four demos are recorded: "Repulsive By The Light", "Opposition", "The Sunset of Europe" and "Russia is coming!". In 2007 the first full-length album "Opposition" is released by independent label Armour Get Dawn Productions. The album is a compilation of the early works of the band. The second album "The Way to the Sun" is released in the Internet only. The same year Dmitry from Koenigsberg band Nar Mattaru joins Holdaar - first as a guitarist, later as a vocalist. In the end of 2008 the third full-length album "Birth of the Hero" is jointly released by Armour Get Dawn Productions and Cyberborea Records. The next work of the band - a concept album "120th Year" (2009) is released in the beginning of 2010 by Moscow independent label Nymphaea Records. 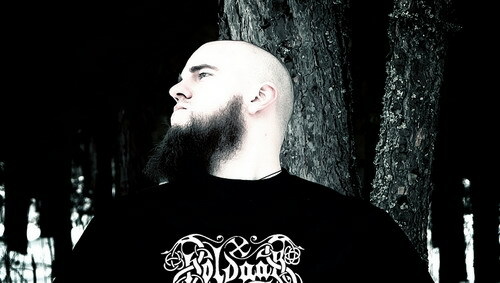 In June 2010 due to the difference in views vocalist and guitarist Dmitry quits the band in order to focus on his own project Kolohorth. Later in autumn 2010, Holdaar release a mini-album "Si Vis Pacem, Para Bellum", consisting of previously unreleased material, recorded between 2006 � 2009. The album includes "Man Of Iron" song (Bathory cover), recorded for "Wolves Of Nordland" tribute released by Nymphaea Records in the end of 2010. The same year Sandra (Thunderstorm, Autumn Tales, Kein Zuruck) joins the project. In June 2011 a new member, Alexey, joins the band. He performes vocals on the "Children of the Twilight of the Gods" album. The musical part of the album has been already finished by this time. In May 2012 Nymfaea Records release a tribute dedicated to Holdaar, entitled "Confrontation", with the participation of musicians from Russia, Belarus and Croatia. In December 2012 "The Sunset Of Europe" album is released by Italian label Frozen Darkness. The material of the album was recorded in 2006 and earlier, but has not been released on CD before. The CD includes two videos - "King of the Forest" and "Koenigsberg" as a bonus. In November 2013 Nymphaea Records releases an acoustic album by Holdaar titled "Where Is No Place To Slave." In early 2014 HOLDAAR begins collaboration with the independent Russian label MORE HATE Prod. that releases a new full-length album of the band � �Times are Stretching into the Sky� followed by the eights full-length CD �Aegishjalmur� (2015). In 2016 the ninth full-length album �The Army of Winter� is released by BMC Records (USA), while Barbatos Prods (Russia) releases "The Secrets of the Black Arts - A Tribute to Black Metal Scene" consisting of cover versions recorded specially for this CD. In 2017 More Hate Productions releases �Your War" � the tenths full-length album of the band. The same year the musicians call it quits. The last album of HOLDAAR � �Ravenstorm� � is released in 2018.